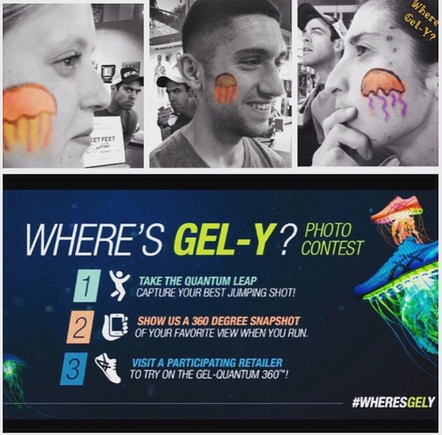 The #Whereisjelly contest is live! Complete items 1, 2 and 3 for a chance to win a pair! Don't forget to use the hashtag "#whereisjelly" and "fleetfeetvacaville" when posting your photos to Instagram, Twitter and Facebook. Good luck!